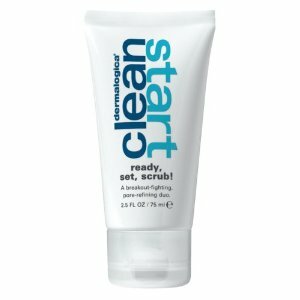 BeautySwot: Dermalogica Clean Start Ready,Set,Scrub! After I had my child Aaron, I found that my beauty routine went out of the window due to lack of time. 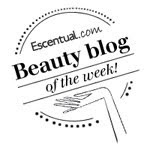 At first I seemed to have got away with it but within a few months I noticed that my skin had lost its sparkle, was dull, flaky and my pores large. My skin was literally crying out for attention. This didn't do much for my confidence and even my favourite foundation couldn't wave its magic wand. I knew I had to take action to return it to its former glory. I know that face scrubs/masks are ideal for this and when I picked up the Clean Start Kit it contained a mask that I was itching to try to see if I would get instant results. This product is aimed at the Dermalogica youth market and at 33 I wasn't sure whether to use it but I am so glad I did as it gave instant results which has made me go out and purchase the full size product. In just 5-7 minutes this mask/scrub cleans the pores, and smooths the skin making it softer and brighter. You apply a thin layer, let it set, wet your fingertips, and massage it over the skin and then rinse off with warm water. I use it twice a week and it's made such a difference. Ooh found this post very interesting! I'm 36 and have looked at this range before but the lady on the Dermalogica counter steered me away from it to the other (more expensive) Dermalogica exfoliants. Reading about your experience though has made me want to give this a try - I will try and get my hands on a sample! !